Incredible towering golden sand dunes. Pure white salt flats decorated in hexagonal shapes. 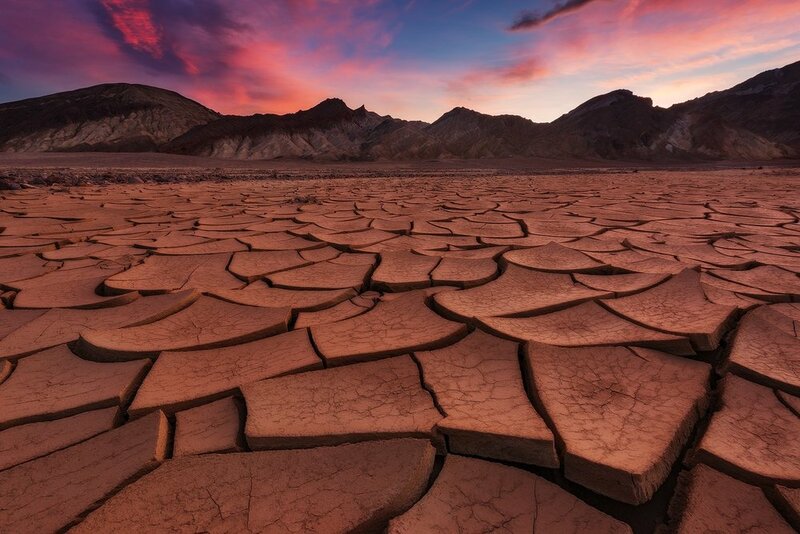 Never-ending mud cracks shaped like giant puzzle pieces. Mysterious arches standing out of the landscape with the Sierra Nevada mountain range in the background. Have I gotten your attention yet? Come join me for six days in one of the most diverse, inspiring, and jaw dropping landscapes in the United States. 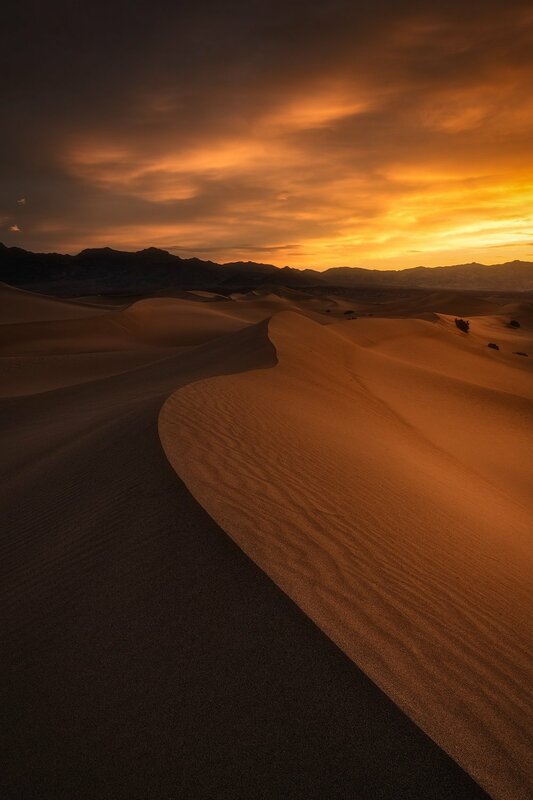 Death Valley National Park and the Alabama Hills are a photographers candy store where endless compositions and textured skies can fill the days. For this workshop, we will spend three days exploring Death Valley before moving onto the Alabama Hills just a few hours away. We will be up every morning for sunrise, out every evening for sunset, and after a dinner to re-energize, back out for some night sky photography! Get your rest now because once we start exploring, it’s on like donkey kong! Note: a 10 or 6 stop neutral density filter for your wide angle is recommended, but not required. Also, a soft grad filter (either .6 or .9) is highly recommended. We will have multiple hikes ranging in the 2-3 mile distance round trip. Terrain will be mostly flat with the exception of the sand dunes. Participants must be able to carry their own gear at a slow-to-moderate pace on these outings. If you feel a hike may be too much for you, I can gladly give you another, easier location to shoot at. Please know your limits for your safety and in fairness to others. 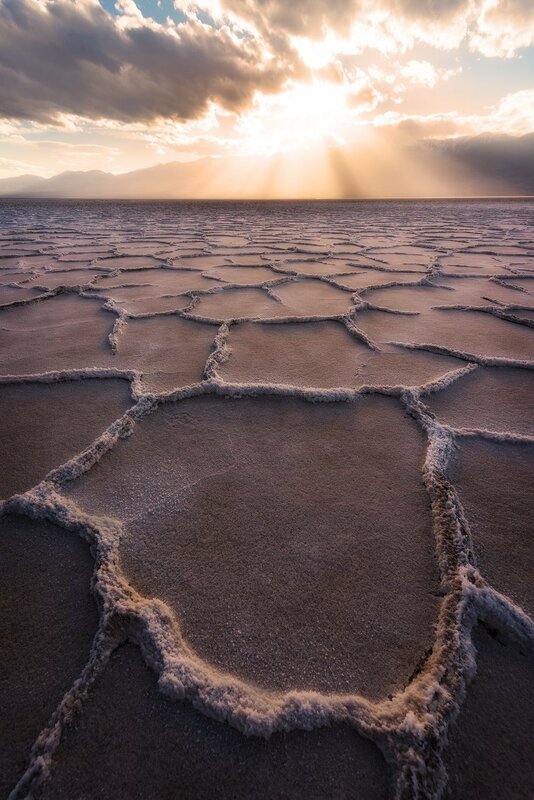 Badwater Basin | Ibex Dunes | Cottonball Basin | Zabriskie Point | Mud cracks | Mobius Arch | Boot Arch and more!